More than a century after his untimely death, the 19th century circus star Jumbo the Elephant remains larger than life. Now a new documentary is separating fact from legend. "He was the world's first animal superstar." So says writer-director Christine Nielsen about the subject of her new documentary,Jumbo: The Life of an Elephant Superstar. 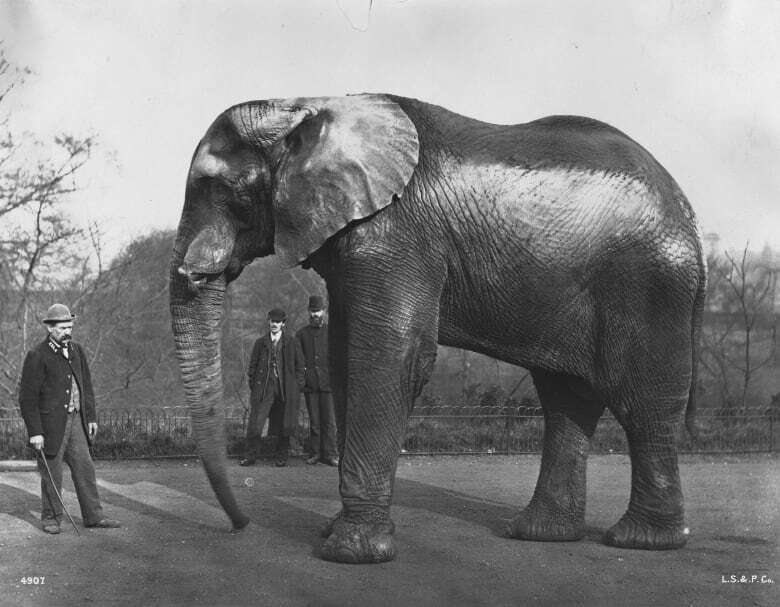 The elephant was a main exhibit at the London Zoo, before being bought by American circus showman PT Barnum. Jumbo's arrival in New York in 1882 drew 10,000 people, the largest gathering the city had ever seen at that point. But the elephant died tragically in 1885 — hit by a train in St. Thomas, Ont. And more than a hundred years later, conspiracy theories still exist about the circumstances. Nielsen's documentary goes to a DNA lab at McMaster University to look at whether the conspiracy theories might be true. But scientists looking at Jumbo's bones — and even his preserved tail — were able to find out more about how he lived. 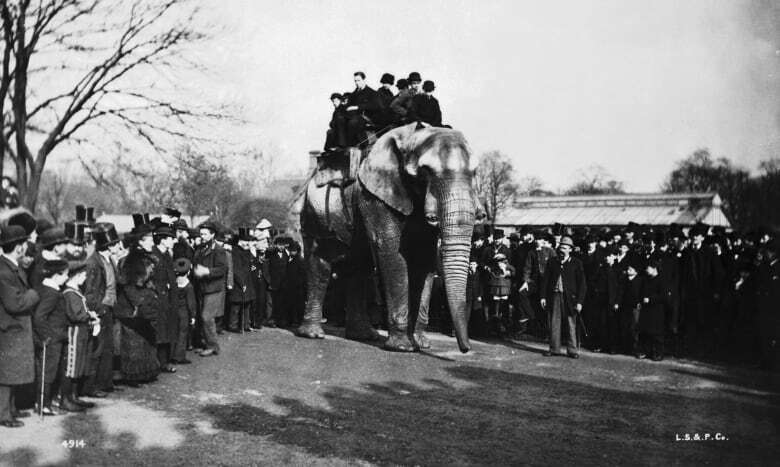 "Jumbo was constantly trying to regenerate his own bones, which were being damaged by how he was kept — a combination of factors, the fact that he was chained, the fact that he was kept on hard surfaces ... and carrying all these people on his back [at the London Zoo]," Nielsen tells The Current Friday host Scott Simmie. 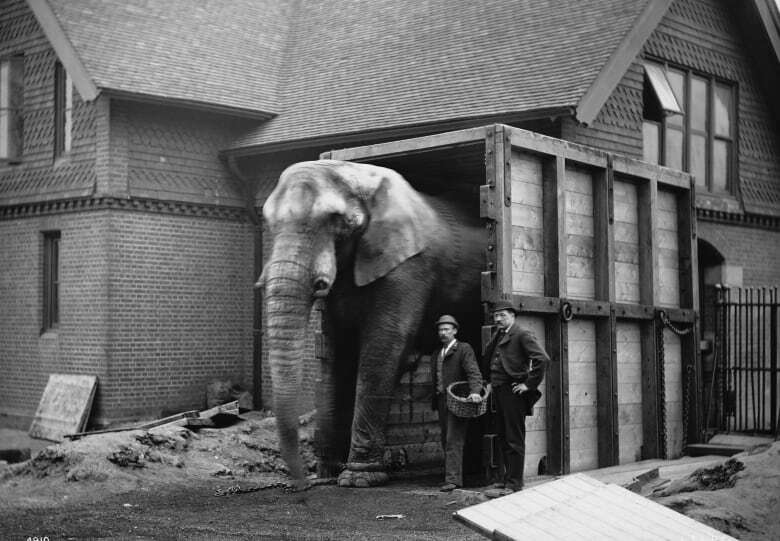 At the London Zoo, Jumbo was a gentle giant by day — when people including Queen Victoria's children and a young Theodore Roosevelt would climb on his back — but expressed ferocious rages by night. Scientific research into elephants in recent decades suggests a possible reason why. "Jumbo may actually have been suffering from something very akin to PTSD in humans," says Nielsen. One reason suggested for the trauma is that Jumbo was captured in Africa by hunters, and may have seen them kill his mother. In St. Thomas, Ont., Jumbo remains a tourist attraction. And the town's former mayor Steve Peters, a self-described Jumbomaniac with a collection of memorabilia ranging from part of Jumbo's tusk to a letter about him from PT Barnum, says the elephant has lessons for us now. "I'm trying to do my part to keep that story alive," Peters tells The Current, "and to make sure that we remember the past and we can learn for the future too and remember some of the challenging lives and the tragic lives that elephants lead in circuses and zoos over the years. We're learning that they should be left in the wild." Nielsen says Jumbo can certainly provide lessons today — but also was a character all his own. "Jumbo also had a remarkable personality," says Nielsen. "One of the scientists said to us...after studying all the hardships he had in his life, the scientist said, I actually think Jumbo was a saint." Jumbo: The Life of an Elephant Superstar airs on The Nature of Things on CBC television, Jan. 7, at 8 p.m. This segment was produced by The Current's Karin Marley.